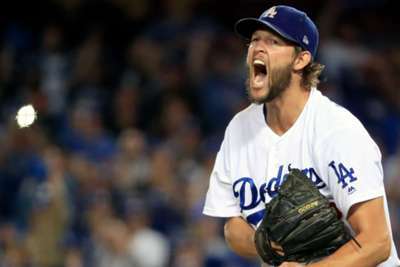 The Los Angeles Dodgers are one win away from the National League Championship Series after blanking the Atlanta Braves 3-0. Los Angeles earned a 2-0 lead in the MLB NL Division Series thanks to Friday's victory. The Dodgers triumphed behind a fantastic start from Clayton Kershaw and home runs from Justin Turner and Yasmani Grandal. The Braves came into the NLDS 19th in walks drawn in 2018. The Dodgers were 28th in walks allowed. We should have seen quick games without a lot of walks coming in this series. Hyun-Jin Ryu walked none in seven shut-out innings on Thursday and Kershaw was even better on Friday. These matchups over the first two games screamed danger for a free-swinging young team like the Braves and we may have overlooked it. The Dodgers have scored their first seven runs of this series off home runs. It is easy to complain and say it will be tough to manufacture runs when they need to, but they have not needed to yet and home runs equal runs which the Braves simply are not getting. Sometimes small ball is unnecessary and the Dodgers are proving that. No matter how well Kershaw pitches, the question that will always come up with him will centre around his postseason performance. Before last year, he was not at his best when his team needed him for a World Series push. Last season he was really good and then came game five of the World Series and the question lingered again. On Friday, he was fantastic against the Braves. That is great. However, it serves as a reminder that Kershaw will always have those doubters after good performances and deservedly so because he is his own biggest critic. He will now rest on his laurels for this one start. He has a lot of work left to do. 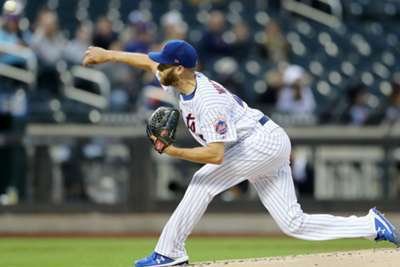 Kershaw finished with eight innings of two-hit, no-run ball on 85 pitches.